Following majority shareholder acquisitions of MechCaL and TLT ACTOM, German based firm, TLT-Turbo (GmbH), has announced a collaboration structure involving all three firms that will provide a total solutions approach to the development of integrated, reliable ventilation products. Following three years of sustained effort by TLT-Turbo, MechCaL and TLT ACTOM will team up to produce and distribute a full range of ventilation products for the mining, construction, industrial and power markets for South Africa and sub-Saharan Africa (SSA). The product lines will be based on the entirety of the group’s unique, proprietary ventilation solutions. This includes maintenance and refurbishment of process, power and primary and secondary mining fans, as well as other value added services as part of a Ventilation-on-Demand solution. This venture combines the global resources and expertise of TLT-Turbo with the client base, distribution network and product innovation of MechCaL and TLT ACTOM. The companies will capitalize on the strong reputation that TLT-Turbo has developed as a leading provider of advanced ventilation and process fans on a global scale. TLT-Turbo manufactures radial and axial flow fans for virtually any application and are regarded as one of the world's leading manufacturers of technology-driven industrial fans and ventilation systems. First-rate engineering, tradition and progress in air handling technology, along with a worldwide support network have been the cornerstones of their excellent global reputation as a fan and systems manufacturer for more than 140 years. TLT-Turbo’s Managing Director, Rainer Redinger, said that this move forms part of TLT’s global strategy to be the world leader in air movement services as well as their long term African growth strategy. “Working together opens a doorway to a broader local and international client base. It will see all the companies involved benefiting from a larger marketing and services footprint with global support infrastructure from TLT-Turbo and its parent company Power China Corporation. Power China is a Fortune 200 company and a leading Chinese corporation that services most of the markets that the TLT-Turbo group focuses on,” said Redinger. Redinger went on to explain that the global auxiliary fan product range is based on MechCaL’s innovative solutions and will complement the current TLT-Turbo range. Erasmus explained that MechCaL and TLT ACTOM will collaborate closely to develop the SSA market, offering a complete range of fans – from auxiliary to large surface fans – for applications in the mining industry, as well as a broad range of industrial ventilation and process solutions. 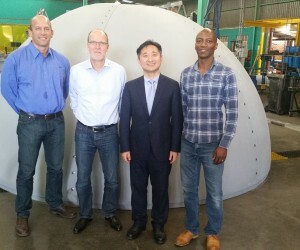 The full TLT-Turbo range of fans are supplied to the sub-Saharan market by TLT ACTOM while the MechCaL auxiliary fan product range will be sold in South Africa and sub-Saharan Africa under the TLT MechCaL brand, and internationally under the TLT brand,” Erasmus explained. “TLT MechCaL will also form part of TLT-Turbo’s globalisation roadmap and play a key role as a composites competency centre for the TLT-Turbo group. TLT MechCaL has already developed products and started shipments to the global market,” said Erasmus. Craig Johnston, Operations Director of TLT ACTOM, stated that combining world class German technology with local African knowledge presents a formidable offering. 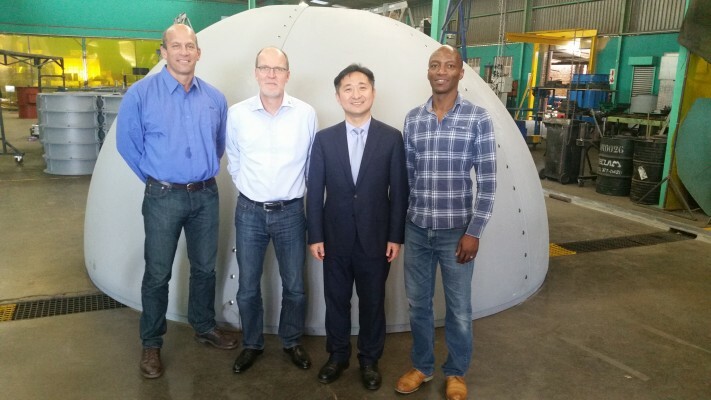 TLT ACTOM will expand its already well developed footprint in the mining industry to include the innovative TLT MechCaL auxiliary mine fan range. This will lead to TLT MechCaL and TLT ACTOM expanding their projects, service and manufacturing facilities over time to support the expected growth in the mining industry and other industrial applications. “It is very important for TLT ACTOM to offer routine maintenance services on TLT-Turbo’s new and installed fleet, such as the 36 large induced draft fans at Majuba, Medupi and Kusile power stations, as well as on TLT MechCaL’s range of auxiliary fans,” said Johnston.